Free download Need For Speed Shift game latest version for mobile. 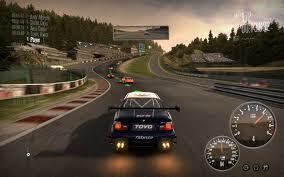 It is a racing game for Symbian and JAVA. It is developed by Electronic Arts (EA). This game has three opponent drivers; you have to defeat them, this is your aim. If you are in career mode of game, then after winning you’ll earn some cash which can be used at upgrading your car to give speed and power to the car. There are eight total cars in game. You have to control your car speed because your car speed will be increased automatically by touch or press the break button. You must save your car from the opponents by moving it right and left and keep it on the race track. The graphics, animations and sounds of this game are brilliant. I would say that it’ll hard for you to think about another racing game for Symbian after playing it. 3D graphics impressed its lovers and yes the detailed background music and sound makes it more attractive and delight to watch and play. Make sure that, others applications should be turned off while you are playing Need for Speed shift.